Through hard work and dedication, Gilmore Memorial Preschool has earned the NAEYC Accreditation! NAEYC accredited programs invest in early childhood education because they believe in the benefits to children and families. Early childhood experiences—from birth to age 8—have an enormous impact on children’s lifelong learning and positively contribute to their health and development. Early childhood education programs with the mark of quality benefit children with greater readiness for and success in school. 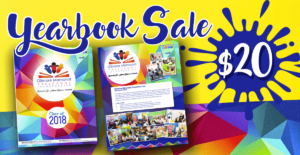 It is for this reason that parents and families are seeking out NAEYC-accredited programs. Parents choosing an early childhood education program can be overwhelmed by trying to find the highest-quality program for their child. 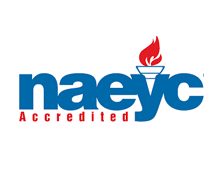 NAEYC Accreditation is the mark of quality that families are looking for. NAEYC Accreditation gives families the chance to make the Right Choice for Kids. Grow NJ Kids is a state-sponsored initiative to raise the quality of child care and early learning throughout New Jersey. 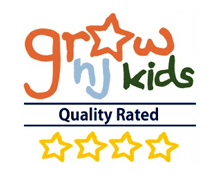 Grow NJ Kids gives child care and early learning programs resources to assess and improve their programs, while providing parents with information that allows them to evaluate the quality of programs and make the best choices for their child. The goal is to create a system that encourages ongoing improvement. Grow NJ Kids is part of a national effort. More than 40 other states are at some stage of launching their effort to improve quality. All types of programs can participate in Grow NJ Kids – a child care center, a school- or center-based preschool program, a Head Start program, as well as a registered family child care provider, who cares for children in his/her home.